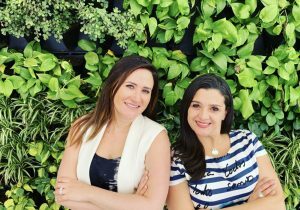 Vanessa Sanchez, Business Lead at Wunderman Thompson Mexico and Mariana Tuis, Executive Vice-president at Hill+Knowlton Strategies Mexico, are part of the multi-agency team that works on WPP’s global partnership for UN Women. In the following lines, they talk about their professional careers, the lessons they have learned from working with UN Women, as well as the importance of building a work family. MT: Did you always know you wanted to work in advertising? VS: Yes. Ever since I was little, I would watch TV for the commercials, not the shows! I went to college for Marketing and then went to work on the client side, and somehow my CV ended up at J. Walter Thompson. After that, I stayed on the agency side and I don’t intend to go back! How about you? MT: I have a degree in International Relations and wanted to become a diplomat, but in the last year of school I took a political communications class and I loved it! I didn’t know what public relations were, or about Hill+Knowlton or anything else about the industry, but I have fallen in love with this profession ever since. What I would tell myself is that it’s worth the suffering, the long nights, getting frustrated. We stay in this business because we have a passion for it. VS: And what challenges and obstacles have you faced along the way? MT: As a woman in a country like Mexico, although things have changed in the past years, you’re often seen as just a “girl” or not taken seriously because there is still a deep-rooted belief that a woman doesn’t have the decision-making power or the best strategic recommendations. Although, I must say, things have been improving in the last few years and more and more organizations are including women in high-level positions. VS: I absolutely agree with Mariana, even though, for me, one of the biggest challenges has been having to work with different sectors and clients. The work we have done with UN Women has taught me so much: about prejudice, avoiding stereotypes, really understanding the issue, learning to work with the government and female-focused organizations, etc. VS: One of the projects we worked on together was for UN Women, how has this experience been different than working with other clients? MT: “No es de Hombres” (It’s Not Manly Behavior) is one of the campaigns that has touched me the most! I’ve worked on every type of campaign, retail, sales-pushes, CPG, beverage, alcohol, etc., but working on this specific campaign really made me feel I was part of something that had a profound impact, a cause – a part of something bigger. It’s a day about continuing to create awareness, we have to keep talking about it and keep it top of mind, because it is about creating equality, and we are not there quite yet. MT: If you could go back to the beginning of your professional career, what advice would you give yourself? VS: What I would tell myself is that it’s worth the suffering, the long nights, the getting frustrated. We stay in this business because we have a passion for it. MT: How would you describe your relationship with your team? VS: I see my team as a different and diverse family. VS: Do you feel that you have changed your perception about International Women’s Day since you began working with UN Women? MT: Definitely. It’s a day about continuing to raise awareness. We have to keep talking about it and keep it top of mind because it is about creating equality. Unfortunately, in many parts of the world, including Mexico, we are not there quite yet.